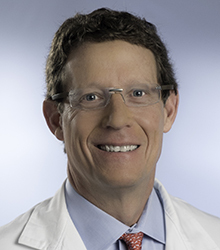 Following his postdoctoral training and fellowship in 1993, Dr. Friedman joined the faculty at the Baylor College of Medicine in Houston, Texas as an Assistant Professor of Plastic Surgery. While at Baylor, he also held an appointment at the University of Texas MD Anderson Cancer Center as a Clinical Assistant Professor of Plastic Surgery. Dr. Friedman joined Houston Methodist Hospital in 2005. Dr. Friedman’s research interests center on microsurgical and implant based breast reconstruction, novel techniques in body contouring procedures and the use of limited access procedures for facial and abdominal aesthetic surgery. He is the author of numerous articles in the plastic and reconstructive surgery clinical literature, and has contributed to ten book chapters. Ellsworth, IV, WA & Friedman, JD 2013, . in The Fundamentals of Bariatric Surgery. Nova Science Publishers, Inc. pp. 207-217. Combined laparoscopic and microsurgical techniques for testicular autotransplantation: Is this still an evolving technique?